This is an adorable photo of an elephant holding an umbrella for a cat. But beyond it's cuteness, it does have a powerful message: helping people should be the goal in and of itself. This is a profound way of looking at the world. We should not think to help others in hopes that they will give us something in return, because often times the people that need help the most are the most vulnerable. 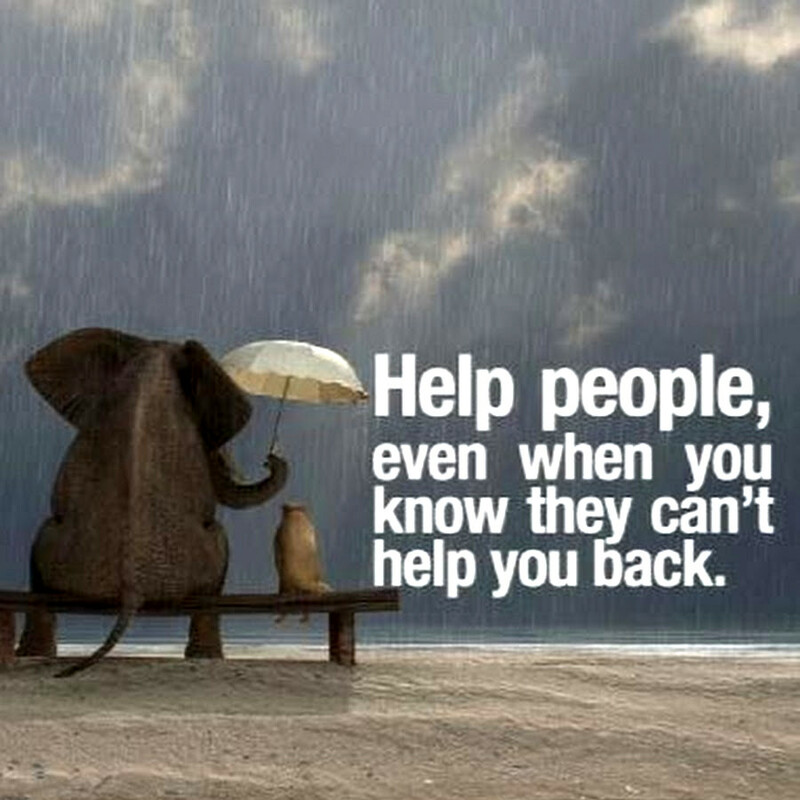 So remember this photo and quote every time someone you know is in need and don't think twice about whether they can help you back in return.